Mobile marketing automation is happening – though mobile marketing and marketing automation are not new concepts, businesses who pay attention to their mobile marketing are finding the information they gather more useful and profitable than ever. 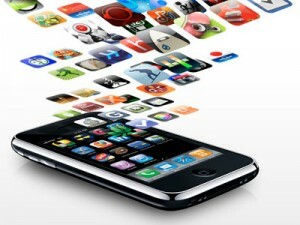 If you’re thinking about doing mobile marketing for your business, the first question is, how mobile is your audience? If your site isn’t mobile-friendly, if you’re not working on being found in places like Google Local or doing any form of local marketing and if you have no plans to consider a mobile-friendly site in the future, you might consider skipping mobile marketing. Not all businesses really need to do mobile marketing – but many who would find qualified mobile traffic are avoiding mobile. Likewise, the vast majority of businesses haven’t discovered how amazing marketing automation could be for their businesses. Considering a mobile marketing plan for your business could put you ahead of the curve. A marketing automation dashboard gives your company access to marketing funnels that are individualized and that work for your particular business. Your dashboard not only streamlines your funnel – it helps you better manage team workflow, marketing tasks and to more easily interpret your data stream. Mobile marketing data may be vastly different from your regular data – for instance, mobile users may tend to look at your site at a specific time of day that laptop or desktop users don’t. Without the proper analytics, this type of information is hard to come by. Many companies aren’t even using the free, most basic analytics out there. The only way to truly determine whether or not your marketing services are working to bring in new leads and re-engage existing clients is to consistently and carefully analyze your data. With mobile use consistently on the rise, mobile marketing will play a key role in the success and productivity of future businesses. Many businesses don’t want to go into mobile marketing because they fear the cost – but there are many responsive website builders out there that will convert your website at low cost. For many businesses we work with, responsive web technology for mobile marketing has been worth looking into. Talk to us at Lead Liaison and let us take a look at your site, your offering and your mobile-readiness. Mobile marketing might actually benefit your business more than you know. https://www.leadliaison.com/wp-content/uploads/2013/04/Lead-Liaison-Logo5.png 0 0 Lead Liaison https://www.leadliaison.com/wp-content/uploads/2013/04/Lead-Liaison-Logo5.png Lead Liaison2014-03-20 06:00:052014-03-14 23:45:53Mobile Marketing Automation: Is Your Business Ready?